I am a management techno-commercial professional with more than 12 years of experience in different industries and fields. CULTURE:- I have worked with Indian, Japanese, German Companies. INDUSTRY:- I began with Industrial Electrical equipment manufacturing company where i worked for more then 2 years. After that i worked in Automotive sector for almost 6 years then in Media for almost 1.5 years and now i am working with a company who takes Government projects. DEPARTMENTS:- I have experience of following departments :- Purchase / SCM , Plant Management (includes Production Management, Quality Assurance, Maintenance), Project Management, Liaison. I completed my B.Tech(Electrical Engg.) in 2002. I did it from Kurukshetra University. I completed my MBA (IB) in 2008. I did it from Guru Jambheshwar University, Hissar. I am Green Belt in Six Sigma. I got it from BSI. My Father Mr. Jai Dutt Bhardwaj. He is retired officer from Government of Haryana. My Mother Mrs. Vijay Luxmi Bhardwaj who cultivated me to this level. My Wife Mrs. Sonam Bhardwaj (MBA - Finance). She taught me the words care and endearment. My Son Ishaan who makes me to look down and see my childhood standing beside me. I have two sisters too. 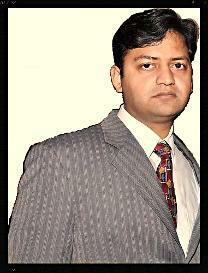 Mrs. Pooja Bhardwaj(MBA - HR) - Married to Mr Vikas Sharma (Project manager in Tech Mahindra - Noida). Second one is Dr. Kavita Bhardwaj (PhD in Computer Science from IIT Delhi) - Married to Mr. Anoop Upadhayay (Team Manager in Intel Malaysia).